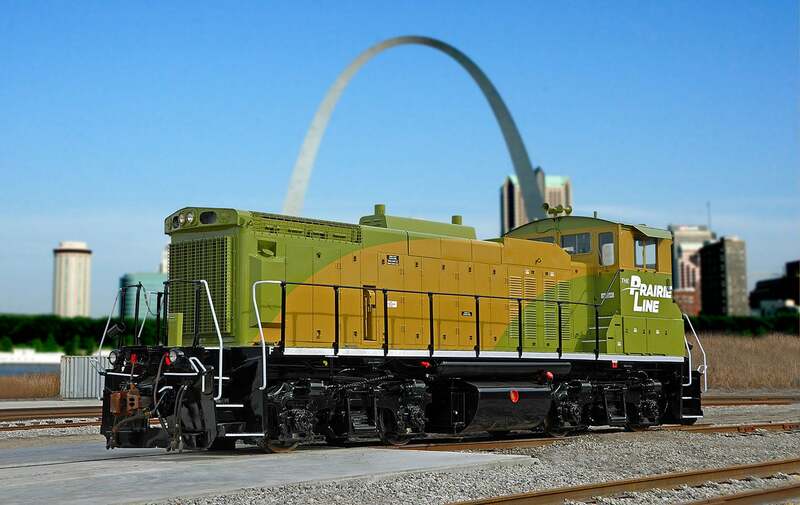 The Prairie Line is a St. Louis Metro East/Southern Illinois railroad, transportation and logistics company. 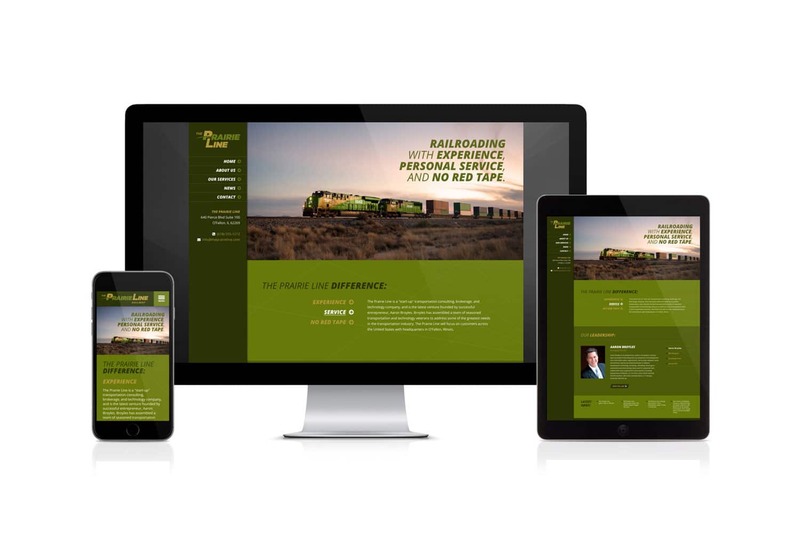 Lead by a team of highly experienced partners, The Prairie Line prides itself on providing personalized service that often gets lost in the rail industry. Additionally, their ability to cut through red tape and deliver quick decisions (along with their cargo) sets this company apart. 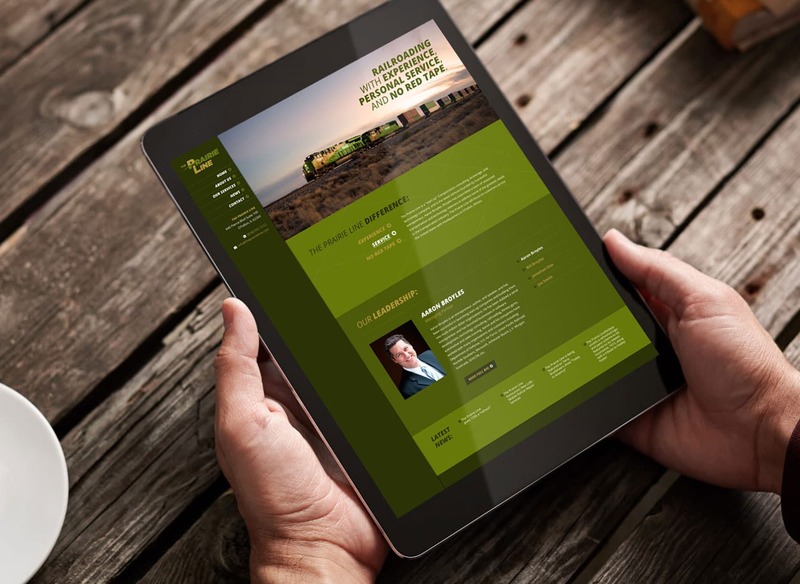 Below you will find everything from the initial logo design options to their newly painted locomotives and custom WordPress website, all which Visual Lure designed. 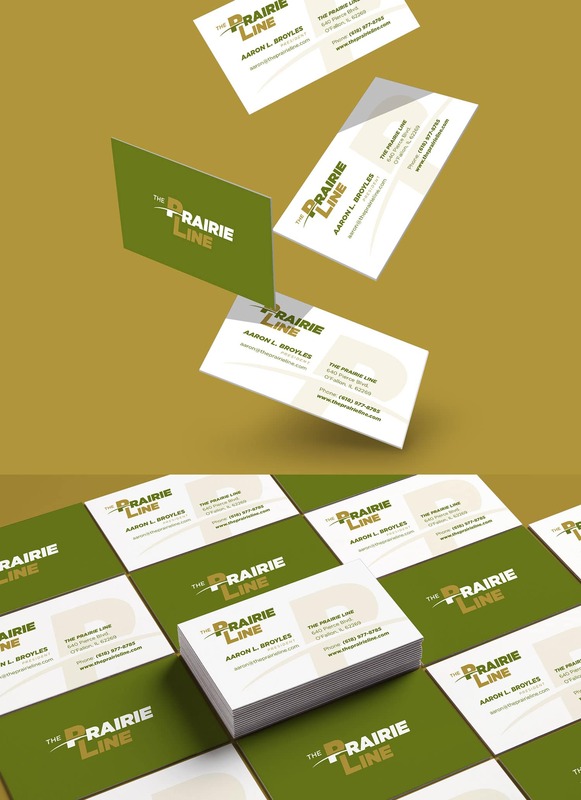 The top left logo option uses a single line to make two “i”s tying the two word marks together, the top right option (which ended up being the final logo) plays off a line dividing the “P”, the bottom left logo features prairie grasses that make negative space in the type, and the last logo is a P created with a single line that also mimics railroad tracks. Below the options are the final logo lockups. 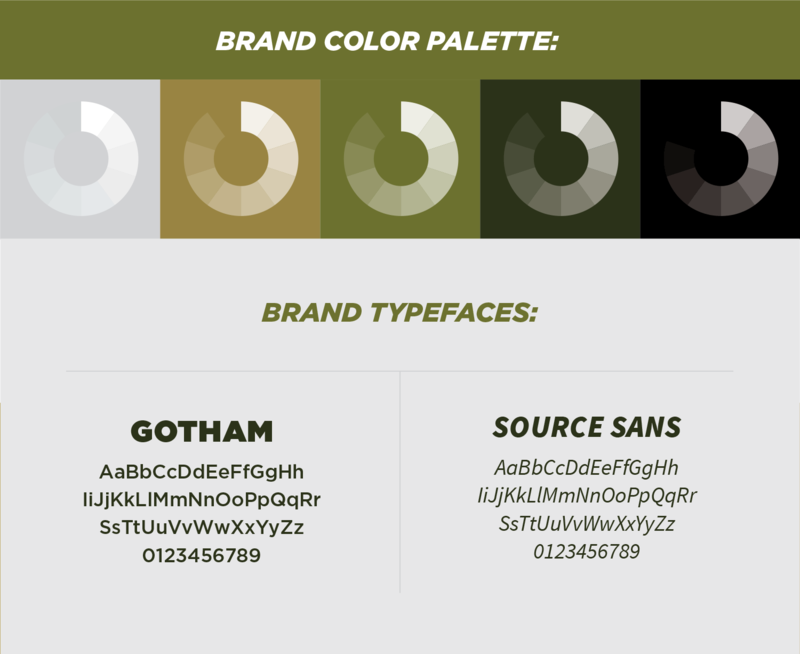 We selected a color palette inspired by colors of prairie grasses with clean, easy to read typefaces making sure signage and locomotive numbers are readable from a distance. 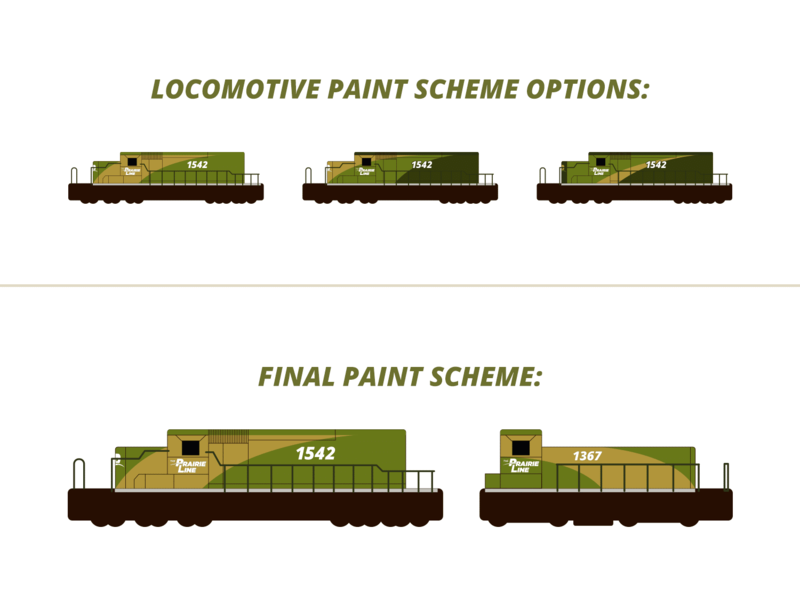 The paint scheme was inspired by the curve in the logo and the placement gives the locomotives a sense of motion. We wrapped up this branding project with a fully custom, responsive designed WordPress website. The site features a sticky header and menu bar for convenient navigation, a couple custom sliders for the “what makes us different” and the “leadership” sections, and an auto-populated news feed that is fed from the fully integrated blog. CLICK HERE to view more of our branding projects » or CONTACT US today to learn more about any of our branding and design service!